The busy city of Burlington now offers a newly renovated hotel and conference center and there is a special offer for Hilton Honor club members. The new cookie in town is the DoubleTree by Hilton Hotel Burlington VT.
BURLINGTON, VT – January 26, 2018 – DoubleTree by Hilton Burlington Vermont, a 309-room, state-of-the-art, full-service, conference center hotel, located just five minutes from downtown Burlington and the city’s major attractions, is the latest addition to the growing portfolio of DoubleTree by Hilton, one of Hilton’s (NYSE: HLT) 14 market-leading brands. “We are the new cookie in town and are pleased to further enhance and strengthen Hilton’s existing presence in the Burlington area, joining Hilton Burlington, Hilton Garden Inn Burlington Downtown, Homewood Suites by Hilton Burlington and Hampton Inn Burlington,” said Tristan Harris, general manager, DoubleTree by Hilton Burlington Vermont. Just this month, the convention-style hotel completed a major renovation, including a redesign of its front entrance façade, public spaces (including front desk area/lobby) and restaurant outlets. The hotel’s conference space will be undergoing renovations later this year with an anticipated completion in Q3 of 2018. The hotel is close to all of Burlington’s cultural, historic and recreational attractions, including the Flynn Theater Center for the Performing Arts, University of Vermont, Shelburne Museum, Ethan Allen Homestead and Lake Champlain Cruises. There is abundant shopping at the vibrant Church Street Marketplace and the University Mall. Dining options abound both from Burlington’s numerous eateries, as well as on-property offerings. 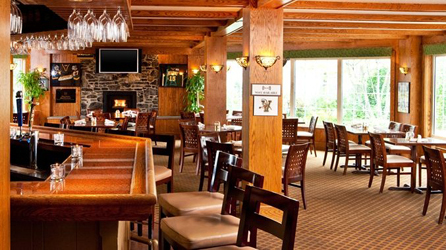 G’s Restaurant, located in the hotel’s lushly landscaped “Summerhouse” four-story atrium and courtyard, offers hearty American breakfast fare and buffet offerings, while Tuckaways Pub, open for both lunch and dinner, serves up microbrews, delicious entrees and delectable desserts set in a relaxed tavern-style atmosphere combined with Old World English charm. Guests seeking exercise or relaxation have a variety of options, including a 24-hour fitness center and heated indoor swimming pool. Hotel amenities include complimentary parking for guests and a complimentary shuttle service with a two-mile radius of the hotel so that guests can take the shuttle to explore downtown Burlington or catch a flight to the airport. DoubleTree by Hilton Burlington Vermont also offers guests high-speed Wi-Fi available in both the lobby and guest rooms and is pet-friendly. With 30,000 square feet of flexible meeting and event space, DoubleTree by Hilton Burlington Vermont is the perfect venue for weddings, business meetings – both large and small – and other gatherings. The hotel is the largest conference center between Boston and Montreal and offers two ballrooms, an amphitheater, and the Lake Champlain Exhibition Hall, boasting 12,480 square feet, an ideal venue for tradeshows, conventions and dinner accommodating up to 1,000 people. 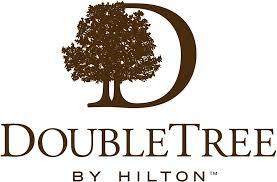 DoubleTree by Hilton Burlington Vermont is also part of Hilton Honors, the award-winning guest-loyalty program for Hilton’s 14 distinct hotel brands. Members who book directly have access to instant benefits, including a flexible payment slider that allows members to choose nearly any combination of Hilton Honors Points and money to book a stay, an exclusive member discount, free standard Wi-Fi and the Hilton Honors mobile app. 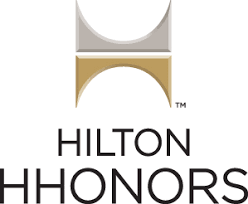 To celebrate the hotel’s opening, Hilton Honors members who stay at DoubleTree by Hilton Burlington Vermont between January 26, 2018 and May 31, 2018, will earn an additional 1,000 Hilton Honors Points per night. Owned by RLJ Lodging Trust and managed by Hilton, DoubleTree by Hilton Burlington Vermont is located at 870 Williston Road, less than two miles from Burlington International Airport. The hotel has also brought on a new general manager, Tristan Harris, who joins the hotel with 18 years of experience in the hospitality industry, including nine years as hotel manager at a property in Burlington, Vermont. Harris received his MBA and Bachelor of Science in Hotel Administration from Southern New Hampshire University. For more information, or to make a reservation, travelers may visit the website or call 802-865-6600.